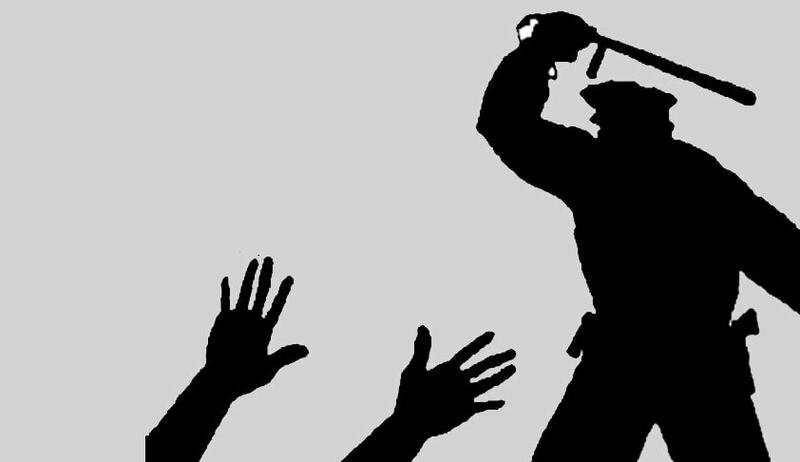 An interim stay by the Bombay high court on the suspension of sentence and release of 11 encounter cops has brought to light startling facts with regard to the abuse of the statutory powers to suspend/remit sentences by the Maharashtra Government. The high court bench, comprising Justice Ranjit More and Justice VL Achliya, stayed on December 21, the state Government’s suspension of life imprisonment of 11 convicts for six months under section 432 CrPC. All the 11 convicts are former policemen, who were found guilty of killing in 2006, Ramnarayan Vishwanath Gupta alias Lakhan bhaiya, who many allege, was a member of underworld don, Chhota Rajan, in an encounter. A judicial inquiry, ordered by the High Court, had found in 2008 that the encounter was fake, and the policemen involved in the incident were guilty of abduction and murder. The High Court’s interim order, reproduced here shows that it has severely indicted the state Government for the suspension of sentence. *Interesting coincidence: The State Government used its remission powers under S.432 Cr.P.C. on December 2, when in the case of Union of India vs Sriharan @ Murugan, the Supreme Court Constitution Bench on the same day, laid down new conditions on the exercise of this power by the State Governments. *The State Government argued before the High Court that Section 433-A (CrPC) embargo on the exercise of powers under Section 432 (CrPC) could operate only in cases of remission or commutation of sentence and not in suspension of sentences. Section 433-A imposes an embargo on government exercising power under Section 432 and Section 433 in favour of a convict punished under a provision where one of the punishments is death, unless the convict has completed 14 years of imprisonment. The encounter cops sentenced in this case for life imprisonment had hardly completed three years imprisonment. *The trial court convicted 21 accused in the case, and sentenced them to life imprisonment. Their appeals against conviction and sentence are pending in the High Court. Of these, the state Government chose to suspend only 11, as the remaining convicts were not policemen. *There is no guidance in law with regard to the period for which a state Government can suspend a sentence. The choice of six months by the State Government, therefore, is intriguing. Did the state Government want to test the silence in law, so that it can go in for similar suspension of sentence repeatedly in future? *In the Nanavati case, the Supreme Court had held that the suspension of sentence by the Governor, under Article 161, cannot operate when the appeal is pending in the Supreme court. The Governor had suspended the sentence of K.M.Nanavati on the same day when the High Court had convicted him and sentenced him to life imprisonment. Nanavati had appealed in the Supreme Court against his conviction and sentence subsequently. While in Nanavati case, Article 161 was the issue, in this case, Section 432 CrPC has been invoked by the state Government, although the Supreme Court’s holding in the Nanavati case is relevant in this case also. *The case history shows that a convict, Shailendra Dhupnarayan Pandey, who was granted parole, absconded in February 2014. Therefore, suspension of sentence, even for a brief period of six months, has its risks. *Another convict, Pradeep Pandurang Suryavanshi, who was granted parole in February 2014, absconded, and was rearrested only after a year. *The High Court had dismissed the bail application of one of the convicts in August 2014. *None of the convicts whose sentences have been suspended by the state Government, have filed bail applications. *The High Court has directed the former encounter cops, whose sentences were suspended by the State Government, to surrender on or before January 4, 2016.